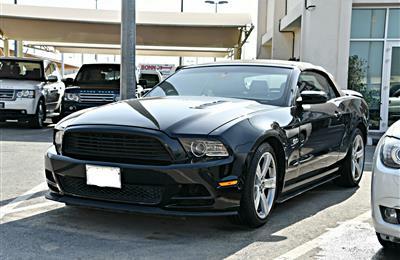 You should already be familiar with the 2014 Ford Mustang V6's specs, so here's a quick refresher. 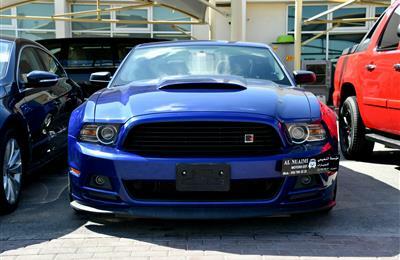 The Mustang is powered by a 3.7-liter V-6 making 305 hp and 280 lb-ft of torque, equipped with the much-more common six-speed automatic, with unique brake calipers, 19-inch wheels with summer rubber, and a more aggressive 3.31 final drive ratio. Equipped with rear & front camera with built-in mirror screen; it has a very economical fuel consumption with over 600 KM of tank capacity. American specs, with original paint & no accident records. 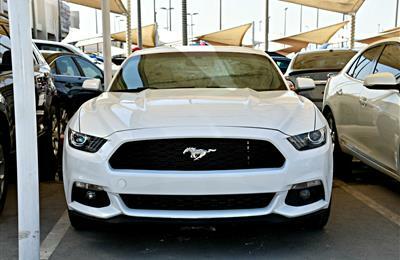 مرحبا, أنا مهتم بسيارتك - FORD MUSTANG V6 #14 على موقع Autozel إسمحلى اعرف هل هى متاحة حتى الأن. شكرا.